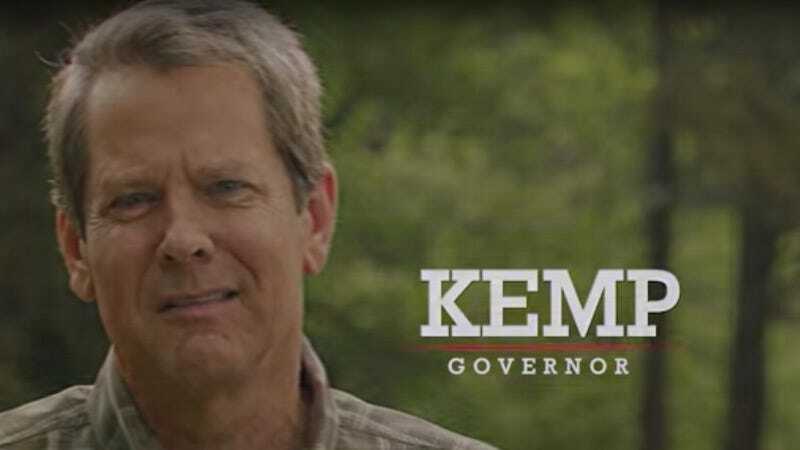 Kemp refers to himself as a “politically incorrect conservative.” He’s also worked tirelessly to maintain voter suppression in Georgia, and has a history of keeping minority, and specifically African-American, voter turnout low. A New York Times op-ed recently laid out Kemp’s tactics, which include systematically purging voter rolls on technicalities, like a misplaced hyphen or a typographical error, and launching baseless investigations on organizations that register POC voters on a wide scale. As we have done for many years, the Atlanta Braves provide campaign contributions to both Democrat and Republican candidates (including Abrams 2015 and 2016 campaigns) and are not taking a political stance for either gubernatorial candidate. As of today, we have yet to be contacted to support Abrams campaign but are expecting to do so. Democrat Stacey Abrams is running against Kemp, and I did confirm that the Braves donated $250 to Abrams in both 2015 and 2016. As the spokesperson stated, the Braves have not donated to Abrams’s 2018 campaign, though the team has given to two different Republican candidates. Besides their $13,200 donation to Kemp, they gave almost $11,000 to Kemp’s Republican primary opponent, Casey Cagle, when Cagle was the frontrunner earlier this year. The Braves have a long history of donating to political campaigns, and tend to give their biggest contributions to Republican candidates. In 2010 and 2014, they went exclusively Republican for their gubernatorial donations, giving current governor Nathan Deal $2,500 in 2010 and $11,300 before a contentious 2014 general election in which Deal narrowly beat Jimmy Carter’s grandson. And donating has paid serious dividends for the Braves in the past. In 2013, after the team announced their intentions to build a new park in Cobb County in lieu of downtown Atlanta, it needed the support of local Republican politicians in order to squeeze $400 million of building costs out of Cobb County taxpayers, and to ensure that the stadium could be built without a popular referendum. The Braves received that support. The Braves are far from the first business to go about currying political favor through campaign donations, but their attempt to claim that such courting is apolitical simply because they have and are willing to donate to candidates from both major political parties is insulting. If the Braves want to cozy up to Kemp, or any other politician, because they think it might benefit their interests in the future, that’s their right. But doing so is inherently a political act, and they should have to live with the consequences.